IF YOU AREN’T MANAGING RISKS, YOU SHOULD BE The issue of information security sees organisations of all sizes and from all sectors, with an identical problem – their inherent vulnerability. No matter how secure and well protected an organisation appears to be, sensitive information can be leaked without you even realizing until it’s too late. All information in all departments, whether on computer disk, paper or in the heads of those you employ, is at risk from any number of very real threats. Information security is no longer just an issue for IT managers – a single breach of information security could cost your company hard earned profits whilst doing irreparable damage to your image and reputation. Your capacity to trade profitably depends on your ability to manage this risk effectively. As the number of reported information security breaches consistently increases, the need to create a management framework for information security intensifies. 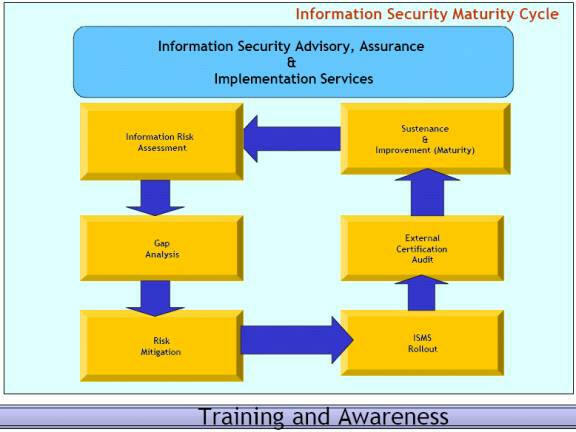 An Information Security Management System (ISMS) – ISO 27001:2013. Once you start using ISO 27001 as a basis for your ISMS, your management system can be audited and registered by a third party. This process adds significant value to the ongoing effectiveness of the system. 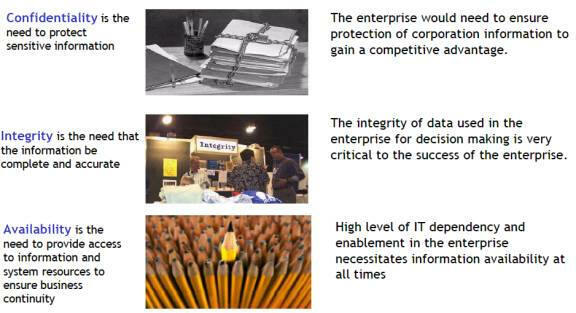 What is Information Security ISO 27001:2013? 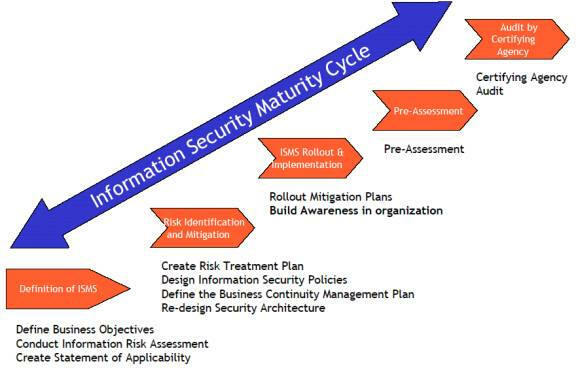 A document to demonstrate management support and commitment to the Information Security Management System process. An established management framework to initiate and control the implementation of information security within your organisation and to manage ongoing information security provision. A comprehensive inventory of assets with responsibility assigned to ensure that effective security protection is maintained. Well defined job descriptions for all staff outlining security roles and responsibilities. A clear and concise definition of the security requirements for your premises and the people within them. Optimise your communication to facilitate smooth operation of the Information Security Management System. 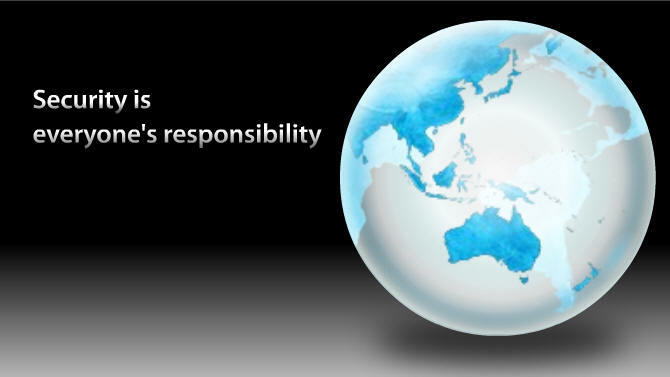 Network management to ensure that only those with the appropriate responsibility have access to information in the networks and the protection of the supporting infrastructure. Ensuring that IT projects and support activities are conducted in a secure manner through data control and encryption where necessary. A managed process for developing and maintaining business contingency plans, which protect critical business, processes from major disasters or failures. A demonstration to clients, employees, and the authorities of your commitment to meet statutory or regulatory information security requirements.